Unique square shaped multifunction pen converts to a powerful LED light when cap is pushed. 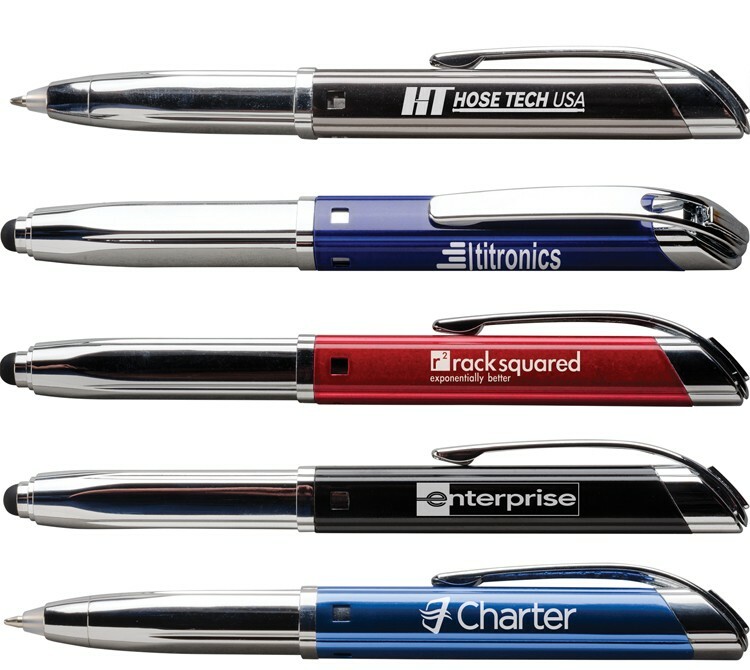 Precision stylus provides advanced connectivity in a compact shape. Quickly and easily changes from function to function. High gloss enamel cap with silver accents and engraving and a bold chrome barrel. Smooth blue writing ink.